Foreign Minister says MK Basel Ghattas should be investigation over call on Christian Arabs to refuse to enlist. 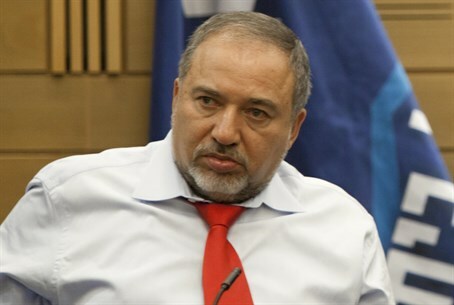 Foreign Minister Avigdor Liberman called on Wednesday for an investigation to be opened against Arab MK Basel Ghattas (Balad), who several months ago called on Christian Arabs to refuse to enlist into the IDF and to burn their draft summonses. Liberman called on the Attorney General to open an investigation "on suspicion of incitement and sedition against MK Basel Ghattas who called on young Christians to burn those enlistment orders." Liberman welcomed the IDF’s decision to send summons to Christian Arabs, adding that he met several months ago with Father Gabriel Nadaf, a Greek-Orthodox priest who is active in a group which supports and works toward more Christian Israelis joining the army. Nadaf has advocated for a strong connection among Arab Christians with the State of Israel and has been sanctioned by the official Greek Orthodox church over his views. “This move by the IDF should be another step towards drafting all young Israelis reaching the age of 18, whether they are secular, hareidi, Druze, Bedouin, Muslim or Christian,” said Liberman.